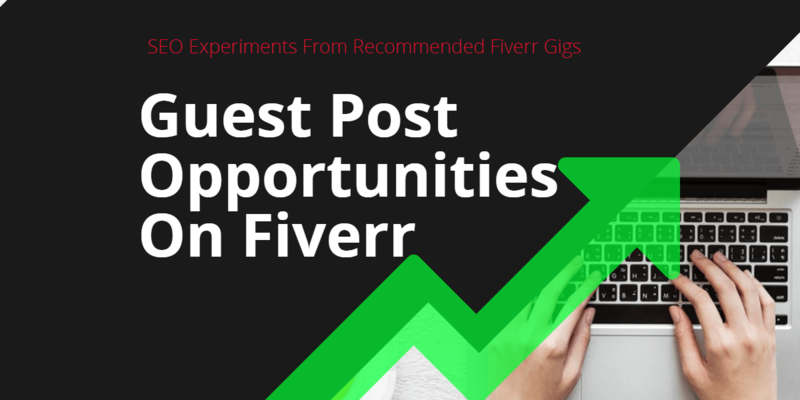 This is the 4th blog post on fiverr SEO gigs and I think by now you will have seen that there is some SEO value using Fiverr as long as you know what you are looking for and as long as you avoid tiered linking gigs. Most SEO’s will agree that guest posting can be a great way to get high value links and those that actually do it instead of teaching and rehashing what others say will tell you that it's a great source of high volume and targeted traffic as well as relevant links. 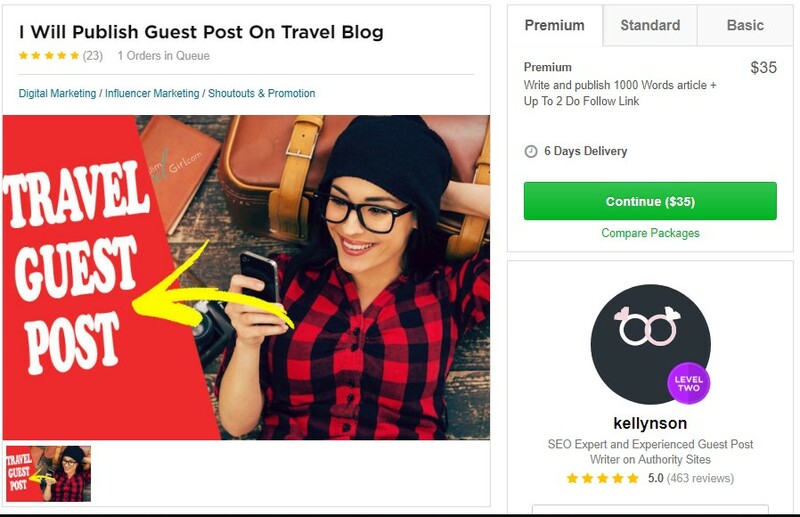 Can we find guest post opportunities there that can have a positive impact on your SEO? The answer is yes, but it can be tricky so pay attention to my quick tips section at the bottom of this article to keep you on track and know what to look for. 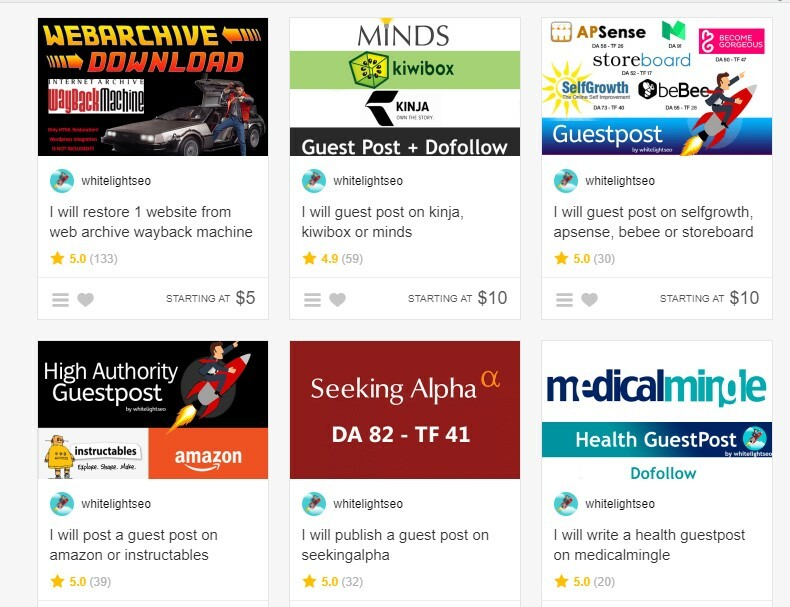 This is essentially looking for guest post opportunities and tools like outreach ninja are being used. This is good as you have control over what sites to create a guest post for and you may find some decent sites to get backlinks from but they are likely to be more useful for backlinks than traffic as top authority sites will be harder to reach without a top quality post with case studies and proof of results. Niche Sites that already exist. Many of these are not good, and in fact some are low quality PBN’s disguised as real traffic blogs, but there are believe it or not, some reasonable backlink opportunities but highly unlikely to be from marketing and SEO type niches. 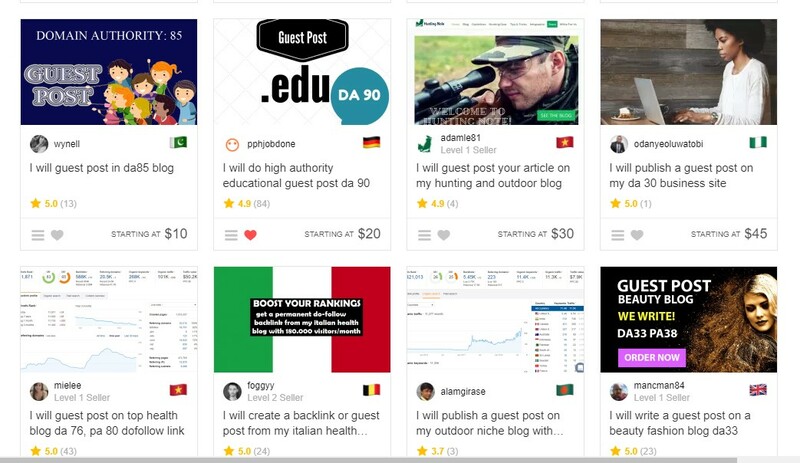 Guest posts on Authority sites. 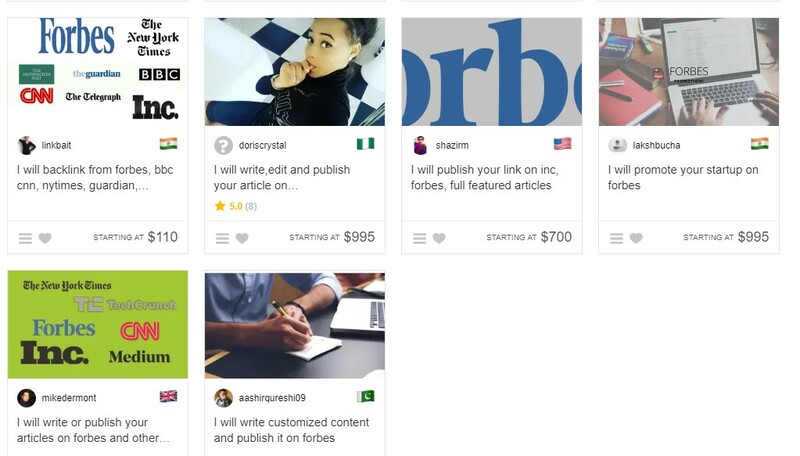 These will be established high traffic sites such as Forbes, CNN, New York Times etc. These can vary greatly in price and the quality of the gigs from backlink benefit focused to full featured traffic focussed gigs. The price ranges can be extremely high too.This is the type of service that you could offer to clients and add your own agency link in there too if you can get the client to agree. Always check out the sites first before you buy a gig. If someone doesn’t want to share their sites before you order then walk away, there are other gigs and you maintain control of your backlinks better when you actually know where you are getting links from. Higher price point does not automatically guarantee high quality links. 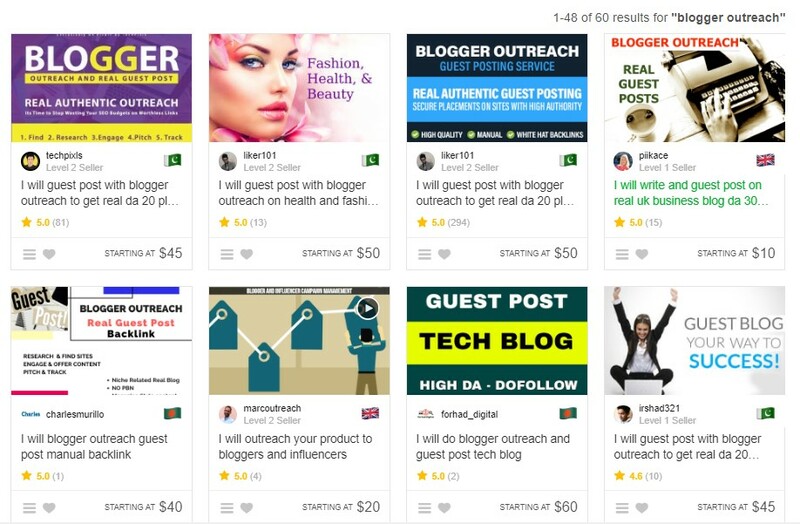 Fiverr has some chancers on there trying to sell low quality links as if they are high quality. Always check the backlink profile of where a site is getting it's links from before you decide to get links from it. Use Moz, Serpstat, Ahrefs, Majestic or any of those types of tools to take a look at both it's inbound and outbound links and anchor text. Check how many outbound links are being used on multiple posts within each site too. Look at how they are using the anchor text, where in the post the link appears and if there are links to multiple sites that are likely to have bought links from them within the same posts. If there are issues then avoid it. Avoid generic type sites for links, these are likely to be PBN sites disguised as traffic sites and will not be worth the risk unless your goal is simply to increase the referring domain links to your own site. Even then I would check the site out more before paying for these links. Check the quality of articles on the sites too. If they are PBN sites they might have some autoblog or spun content and no traffic. This kind of content will devalue the site over time as the user behaviour of any traffic it gets will likely include high bounce rate, poor retention etc that leads to low rankings. Finally, check if a site has rankings from the seo tools mentioned above, check out it's top pages and if it is a real traffic site the Ahrefs for example would be able to give you a strong indication of traffic volumes and rankings. I will go deeper into newspaper type guest posts in another article later, where you can look at getting contextual links from articles within sites like New York Times and we will do a proper case study with these. 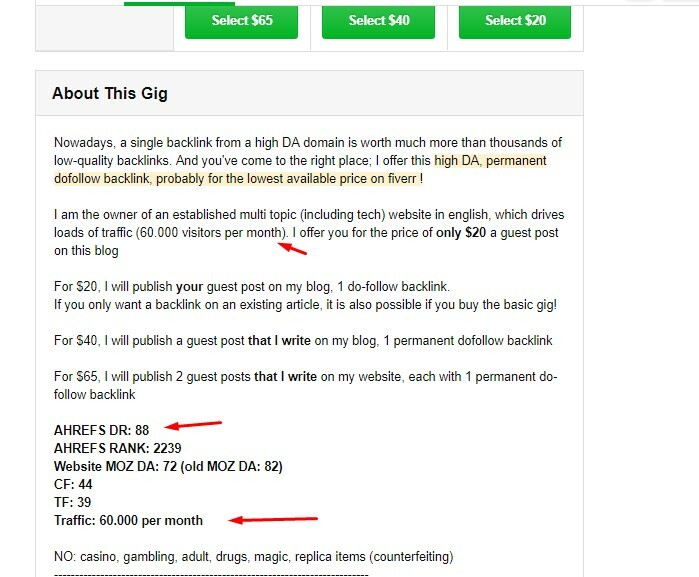 These are high value links as they are not easy to get but it has to be the right gig or done-for-you service that you order from otherwise you could be not getting value or paying too much or not getting what you think you have ordered.